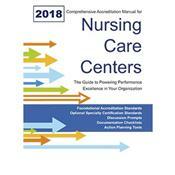 Abstract: The 2018 Comprehensive Accreditation Manual for Nursing Care Centers: The Guide for Powering Performance Excellence in Your Organization (CAMNCC) provides the key information your organization needs to power performance improvement and maintain continuous standards compliance. 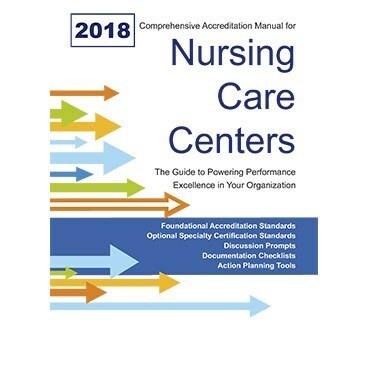 It features all standards, elements of performance (EPs), and scoring applicable January 1, 2018, to all nursing homes and rehabilitation centers, along with the standards and EPs for the Post.Acute Care Certification and Memory Care Certification options. The CAMNCC provides everything you need to successfully achieve and maintain compliance with Joint Commission accreditation and optional specialty certification standards. Inside you.ll find tips and strategies for staying current with Joint Commission standards, descriptions of the survey and decision process, questions to prompt discussion in your organization about compliance with the standards, checklists of the elements of performance that require written documentation, and action planning worksheets to address any issues of noncompliance. Get ready to power performance improvement and excellence in your nursing care or rehabilitation center.